colour colour (required)PinkBlueYellowGreenPurpleRedWhiteI don't mind... Surprise Me! colour (required)PinkBlueYellowGreenPurpleRedWhiteI don't mind... Surprise Me! colour (required)PinkBlueYellowGreenPurpleRedWhiteI don't mind... Surprise Me! colour (required)PinkBlueYellowGreenPurpleRedWhiteI don't mind... Surprise Me! 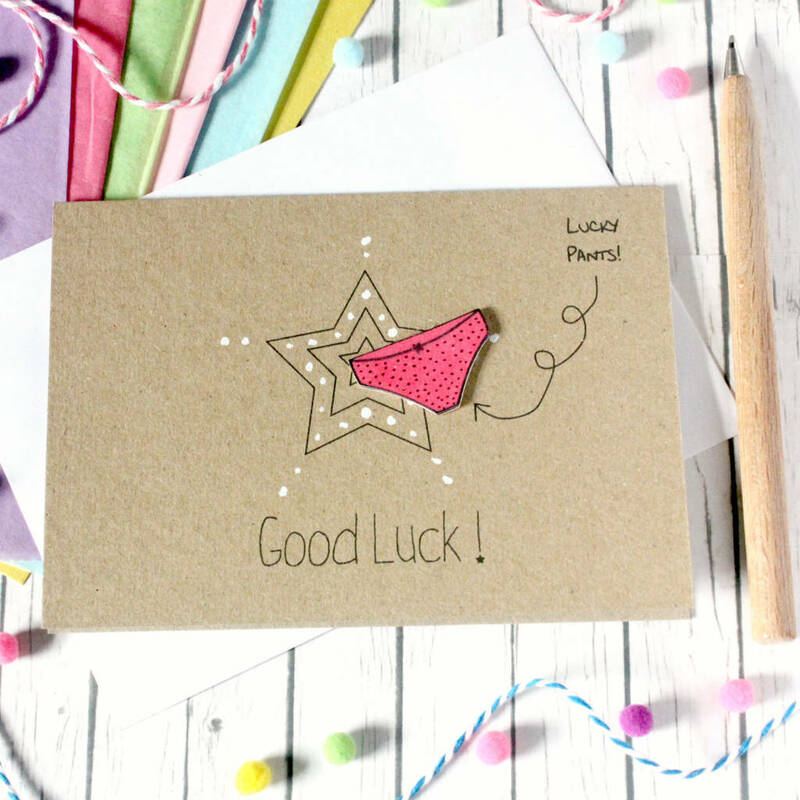 Handmade in Scotland using recycled card, this gorgeous card features hand drawn plastic pants, and a printed "Good Luck" greeting. 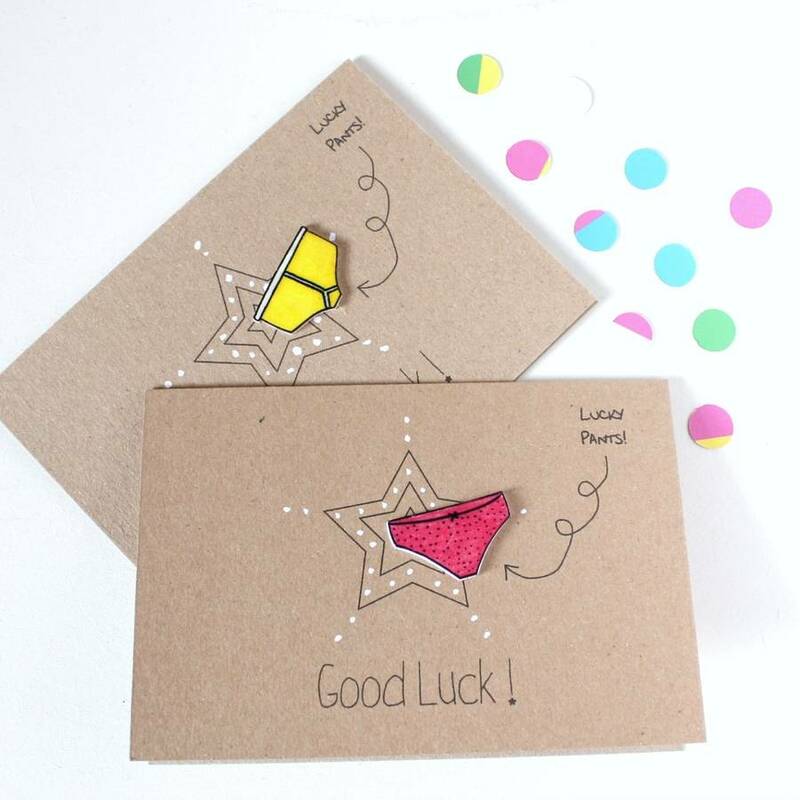 Inside is a fitted liner insert which has been left blank for you to write your own message, and each card comes complete with a co-ordinating white envelope, all sealed tightly in a clear cello bag. 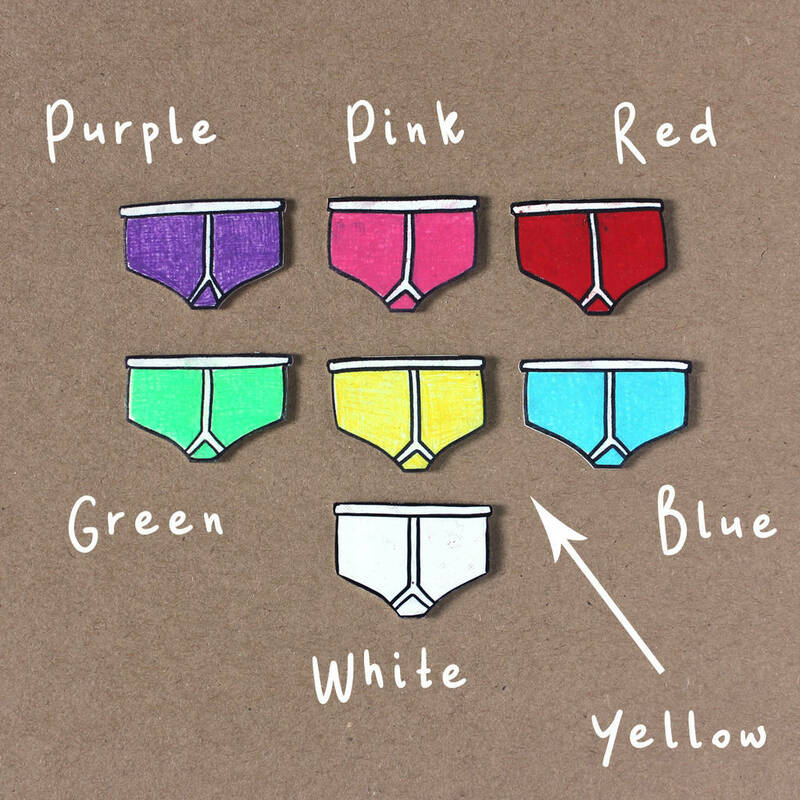 Options: The lucky pants on the card can be either girly knickers or manly Y-fronts... and you can choose your colour too! 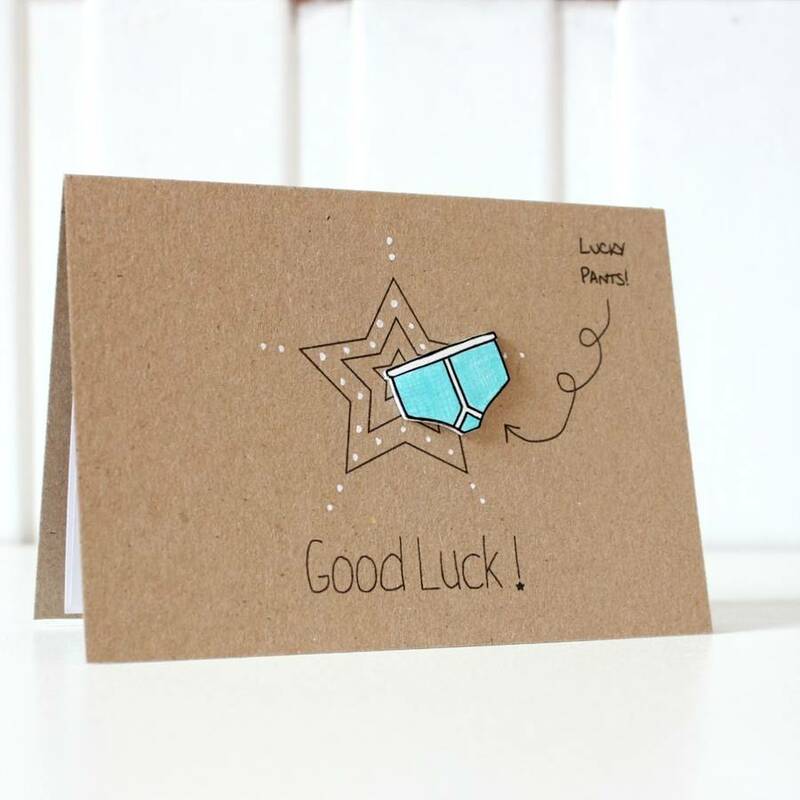 Personalisation: If you'd like, I can change the printed message on the front of the card to something a little more personal and make it extra special! (e.g. 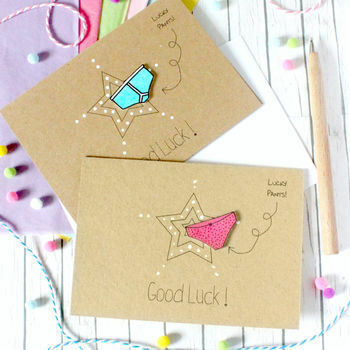 'Good Luck in your New Job Emily!') Just leave a note of what you'd like in the 'Personalisation...' box when you purchase, and be sure to check the spellings! Made in Scotland by Little Silverleaf. 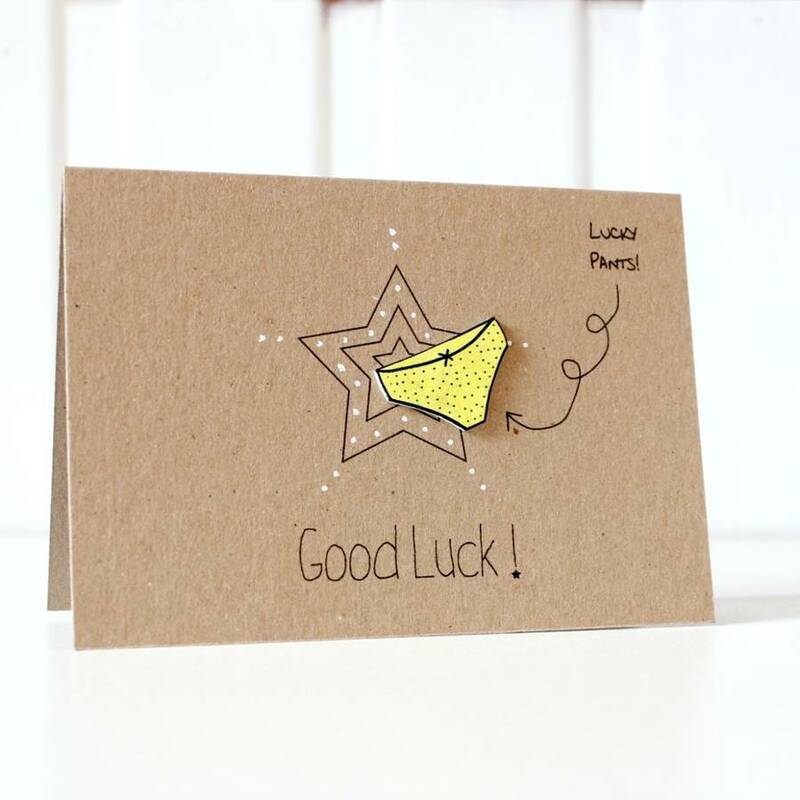 The card measures approx 14.8cm x 10.5cm (C6). This product is dispatched to you by Little Silverleaf.